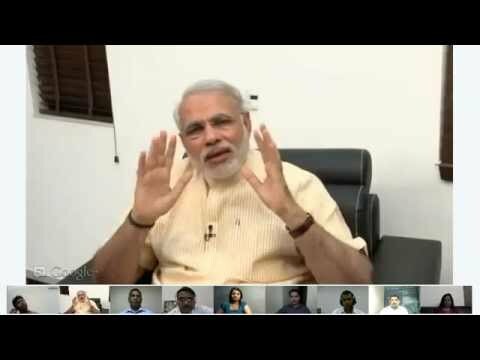 In another initiative Shri Narendra Modi Ji, CM of Gujarat State, did a live hangout with G+ users across the world and answered their questions which were submitted as a run to this event. Discussed ranged from Green Energy, Girl Child education, Role of youth in politics. There were a couple of fun question inquiring about his sleeping and dietary habits.